Xeniya (Ksusha) began training in Krav Maga with KMTA. She completed the Civilian Instructor Course in 2015 under the watchful tutelage of the Global Instructor Team (GIT) members from Israel. Ksusha discovered Krav Maga while searching for an effective self-defence system. She was impressed with how practical and how easy it was to learn. She enjoyed the friendly atmosphere and the real-life scenarios which are incorporated into the training sessions and workshops. She found it fascinating that every question for a technique could be explained by a simple and logical answer. From the beginning, Ksusha has been training extensively to develop her Krav Maga skills and knowledge. 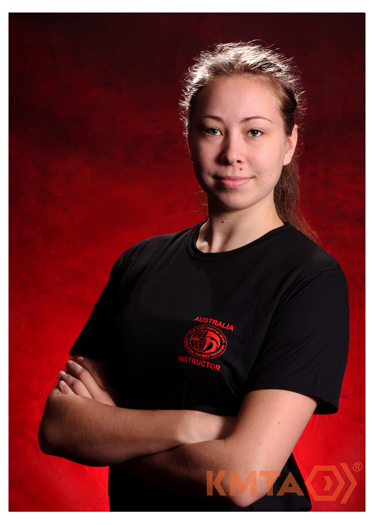 She is focussed on helping to spread the benefits of Krav Maga to anyone who is willing to learn, and has trained alongside multiple IKMF branches both within Australia and Kazakhstan. Ksusha completed a Bachelor Degree of Business and Law, has both musical and artistic interests, and is fluent in both English and Russian. She is committed to continuing her training, runs regular classes, and is available for Personal Training sessions.